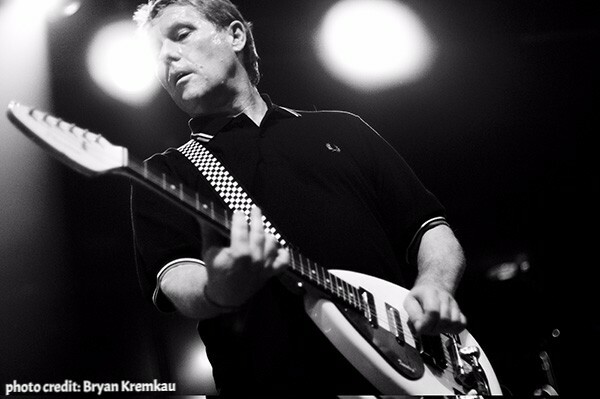 The English Beat's irresistible blend of Pop, Soul, Ska and Punk made them one of the most undeniable breakout stars throughout the last three decades and have had their music covered by such musical luminaries as Elvis Costello, Pete Townshend, and Eddie Vedder, among many others. Compared to other UK Ska acts who found fame in the 80s, Paste Magazine called them "the most ambitious" and The Wall Street Journal said "the English Beat had the best chops." Originally breaking up in the late 80s, Wakeling formed General Public who continued their mainstream takeover with massive international singles like "Tenderness", "Never You Done That", "Hot You're Cool" and a cover of Staple Singers' "I'll Take You There." Proving Wakeling's undeniable songwriting as well has his longevity in the industry, national retail chain Target featured "Tenderness" in a TV commercial campaign and Hanna Barbera's wildly popular cartoon Scooby Doo featured the band's music in a recent episode.